We are one of the leading manufacturers and suppliers of a wide range of Stainless Steel Furniture. Range that we offer to the respected clients encompasses, Corporate Chairs, Restaurant Furniture and Students Chairs. All our offered range comply with organization laid quality standards and for that matter, clients widely demand our products. Furthermore, our metal bench is prepared by our experts by using latest machineries and clients can also avail this offered range as per their specific demands. 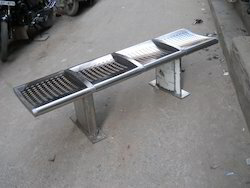 Since inception, our goal is to touch expectation criteria of our clients and for that matter, we offer our valued clients an excellent array of 4 Seater Steel Bench. Our products have been made of stainless steel and other material in compliance with organization laid quality parameters. Also, offered range requires less maintenance. 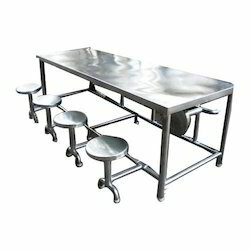 Widely used in computer institutions, offices, schools, houses along with many such places our range of Stainless Steel Canteen Furniture is extensively demanded by our wide number of clients. Our offered computer chairs are manufactured in compliance with international quality standards and are also availed at the market leading prices. 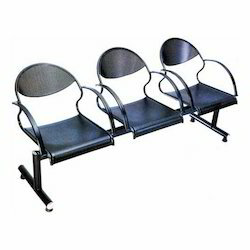 We are a engaged in offering of Waiting Room Bench to our valued customers. Our benches are made out of premium quality stainless steel which are strong and sturdy. 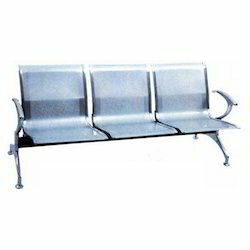 Our steel benches are made out of premium quality stainless steel which are strong and sturdy. 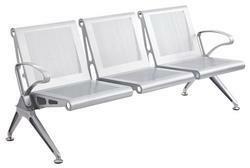 Our steel benches contain flared arm rest and are light in weight for easy portability. They can be customized as per customer requirement. We are a coveted organization known for our engagement in offering a qualitative range of Canteen Furniture to the valued clients. In the manufacturing process, our team make use of their innovative mind and come out with an excellent range of the offered products. Besides, customization of our products have largely been able to satisfy the needs of our clients.